So I was browsing around the internet yesterday, only to discover this little gem. 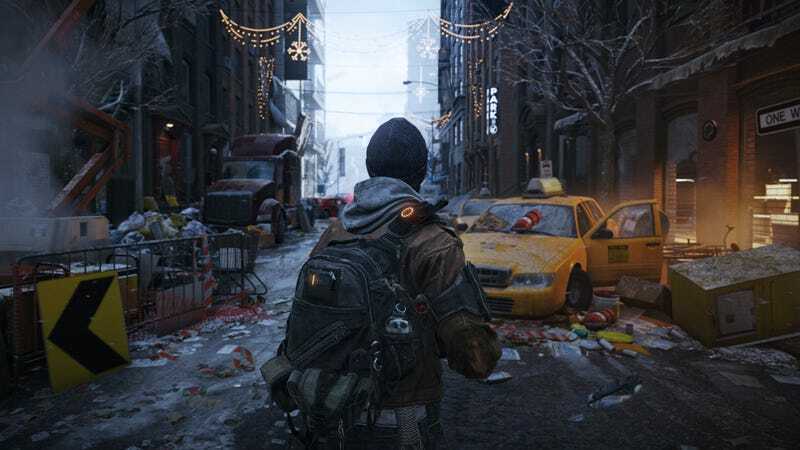 The Division Update: Visuals Allegedly Downgraded! What Happened To The Much Hyped Snowdrop Engine? If you read through the article, the cliff notes insinuate that the Division is likely going to get a visual downgrade from its E3 showings. Normally I don't really see the need to post stories that aren't conclusive, but this is coming off Watch Dogs's obvious drop in fidelity on release. Even if only a few people even read this little post, I'd like to spread that this game could be getting reduced from its initial showing, because I'm frankly tired of Ubisoft pulling this. They've done this before Watch Dogs, with Far Cry 3, and I don't suspect it will be their last time doing it. I find their excuses ridiculous, in the recent case of Watch Dogs's, where they regard the found files as "subjectively enhances the game's visual fidelity". No Ubisoft, art direction or aesthetics is a subjective area to critique on what is "better". Fidelity is in regards to effects on screen, something that can be measured objectively, and the found files add more lights in a given scene, show wind having a greater effect, volumetric fog, and in places just more and new geometry than otherwise existed in the final release. I know this, and they definitely know this. Even the response from Ubisoft arguing that these older effects were worse for optimization is a lie, given the majority of feedback from users say it either doesn't effect performance in any significant way...or even better performance is gained. If even one person gets better performance from effects that cost more in terms of fidelity, it only goes to show how unoptimized the downgrade even was. Almost like they guessed what the specs of the consoles were, built the game first, and then had to backpedal to make it work. I'd even be fine with that reasoning, provided they admit it. If you read through the article I found, what else is posited is that Ubisoft and other publishers don't want the PC versions of their games, to look clearly better than the new next-gen machines. Now, don't take this as some PC master race comment, being mad consoles are holding the platform back, so much as I'm annoyed that people on any platform are being presented a lie of a product they won't receive. If you're making a multi-platform game, the thing should functionally work the same in all core play aspects, on all platforms being ported to. Then layer in whatever gloss each platform can handle...WHILE you inform consumers of the difference. Just stop showing PC users a version of the game that could run on their hardware, lie to console owners that this is what they're getting...and then give it to neither. It's unfair to both camps, it's sleazy marketing to generate hype that can shoot you in the foot later, and it builds mistrust in your brand. Controversies (based in fact or rumor) are getting old for Ubisoft's PR right now, but they have a habit of forcing companies to be better. I hope this is a rumor, but it's worth bringing up nonetheless.